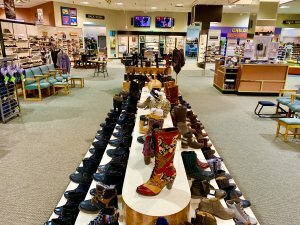 Visitors have been flocking to Reyers Shoe Store in downtown Sharon, Pa for many years. They come for the personalized service and selection of over 100,000 pairs of footwear in stock for men, women, and children. ON ST. PATRICK’S DAY WEEKEND Fill Your “Pot of Gold” WITH MERCER COUNTY TOURISM BUCKS! “West Side Story” set to captivate audiences in Sharon Pa! Reyers Shoe Store marked 132 years of exceptional service and selection in Beautiful Downtown Sharon, PA! 2018 © Visit Mercer County, PA. All Rights Reserved.